Reports on Nahverkehrsforum Schweiz indicate that Swisstrolley trolleybuses 151 and 152 entered service in April. The new vehicles are mostly used on route 31. Cobra deliveries have reached 3028. Tram magazine (issue 89/03-05.2007) reports that Mirage-type trams 1661/70/97 are scrapped, as is Cobra 3006. Body segments 1,2 and 5 of the latter are being retained for a display. Mirage overhauls are continuing, however, with 1679/82/6/8 having received repairs. 1677-79/1703/5/11 and FFA trailers 787-789 are reinstated. 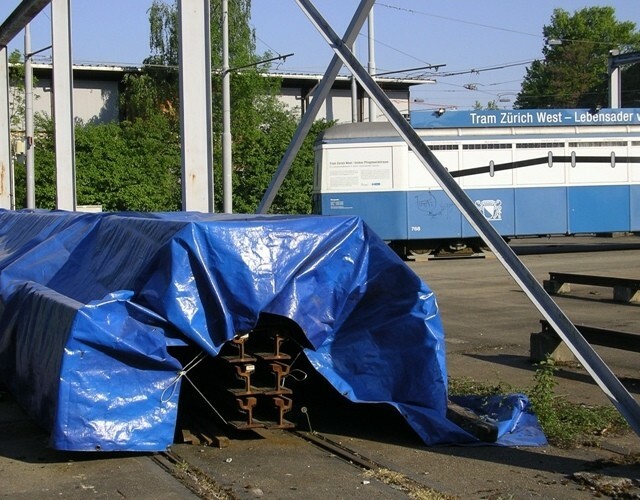 Exhibition tram 768 was moved from its previous location outside Schiffbau to the permanent way yard at Hardturm. It is now open by appointment only. 2042 last ran in its guise as Energietram (special livery) in November, having operated in this form for five years. 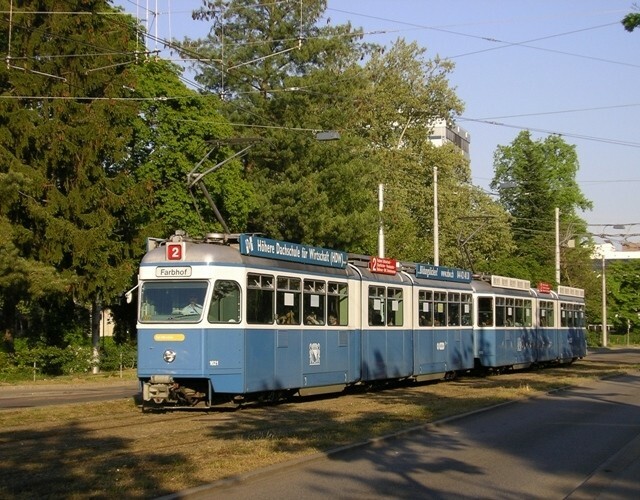 The tram has reverted to standard livery, meaning Gesundheitstram 2091 is now Zürich's only special livery tram. In Winterthur, trolleybus routes 3 and 6 are joined into a new route 3, Rosenberg - Hauptbahnhof - Oberseen. The last of the Saurer vehicles (122/4-5/30) are withdrawn and have been sent to Baia Mare in Roumania where sister vehicles 126-9 have already found a new home. 131 is being retained for driver training purposes. BDWM (Bremgarten-Dietikon) is seeking to acquire 14 new trains to replace its entire fleet. Be4/8 21-25 of 1993 could be sold to WSB (Menziken-Aarau-Schöftland). BDe8/8 1-9 of 1969 face an uncertain fate. In Bern, a major rebuilding of the station forecourt this summer will lead to numerous route diversions, curtailments and bustitutions. Note on the timing of this news item: avid readers of Tram may realize that this edition has been on sale for some time now, and is indeed now hard to come by. Why wasn't this news published earlier here? I try to strike a balance between informing a broader public that probably doesn't read such publications, and protecting the interests of the publishers who do after all rely on sales to keep going — and I wouldn't want any reader to stop buying or subscribing to Tram because news from it appears here. Of course what appears here is only a summary so there are plenty of other reasons to read such magazines.